Print the Tonal Viewfinder on white card stock for a sturdy drawing and painting tool. 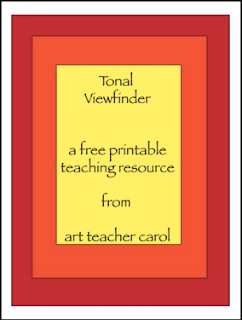 The tonal viewfinder helps students perceive and understand tonal relationships. View a tonal area through the viewfinder. Compare the object's tone with the mid-tone gray of the viewfinder.